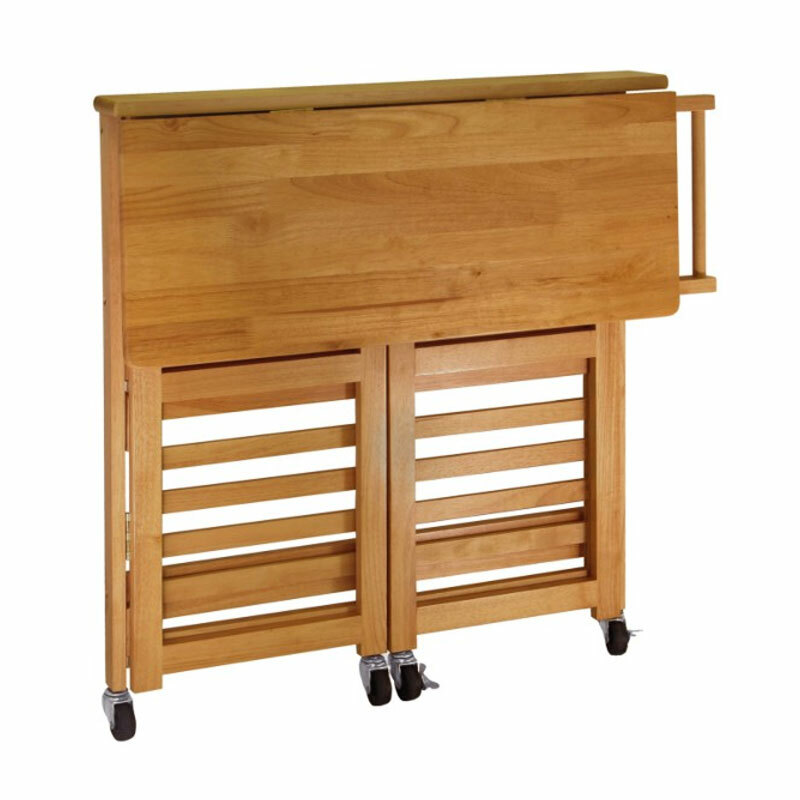 More on the Winsome Wood Foldable Kitchen Cart 34137 below. 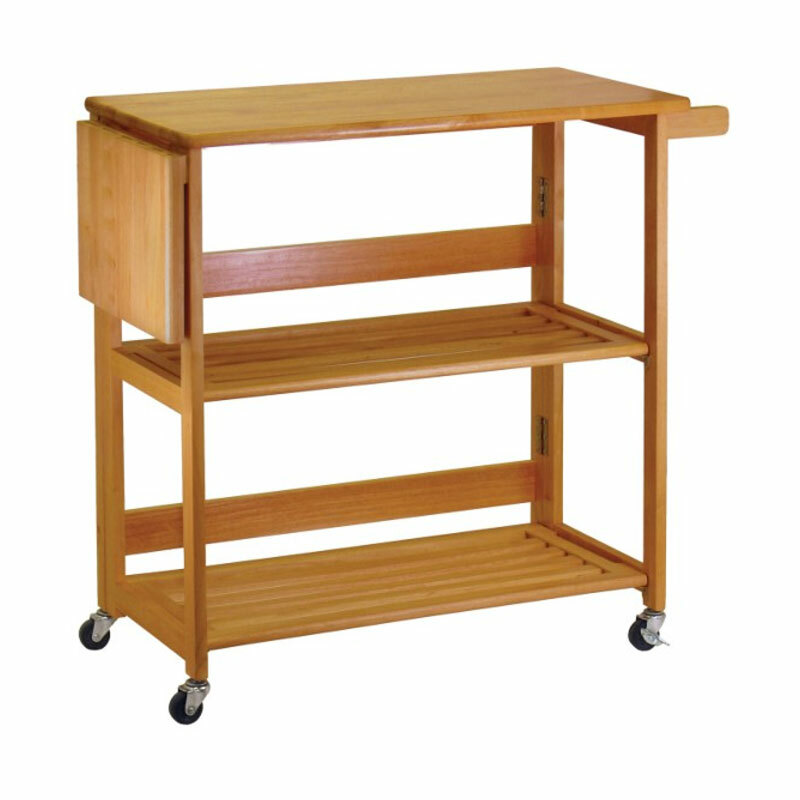 Innovative, fold-away design for easy storage and transportation. Two extra-large, open storage shelves. Integrated towel rack and knife block. A beautiful, light oak finish.